The first round of Lebanon’s municipal and mayoral elections was held Sunday in the capital Beirut, the eastern Bekaa Valley and Baalbek-al-Hermel, in the first vote of any kind in Lebanon since the last municipal polls in 2010. According to early results, the Future Movement-backed “Beirutis List” was projected as the winner of the municipal elections in the capital. “The Beirutis List has won all the seats of the municipal council, according to early results,”Future Movement’s campaign said. Meanwhile, a coalition of the country’s main Christian parties — the Free Patriotic Movement, the Lebanese Forces and the Kataeb Party — was leading in the Bekaa city of Zahle, according to media reports and a statement by an FPM official. “Zahle is the beginning… congratulations to the Christian accord,” MP Ibrahim Kanaan of the FPM tweeted. MTV meanwhile reported that the list backed by Christian parties was leading in the Christian polling stations. Polls closed at 7:00 pm in all areas in Beirut and the Bekaa amid a voter turnout of around 49.02% in the Bekaa and 20.14% in the capital, the Interior Ministry announced. “Voter turnout was low in Beirut but higher than that recorded in 2010,” said Interior Minister Nouhad al-Mashnouq at a press conference he held after the vote. “The elections were held in a largely peaceful atmosphere,” he noted. “The Lebanese proved that they deserve freedom and democracy and that they are ready for the upcoming junctures,” the minister added. The Internal Security Forces said a day earlier that heavy security measures would be taken during the election process and that motorcycles were banned from the roads except ones having licenses to roam the streets on the election day. Over 20,000 security forces and military members oversaw the safety of the electoral process throughout Lebanon. The elections in Mount Lebanon will be held on May 15 while in south Lebanon and Nabatiehthey will be held on May 22 and north Lebanon and Akkar on May 29. Beirutis’ main competitors were a secular group named Citizens In A State of which former Labor Minister Charbel Nahas is a member and the Beirut Madinati coalition — a civic campaign of 24 candidates, equally split between men and women, and Muslims and Christians. Hezbollah only backed neighborhood mayors, but not municipal candidates, in Beirut. The powerful Shiite party has a strong base in the country’s south and the Bekaa Valley, and is fielding municipal candidates there. 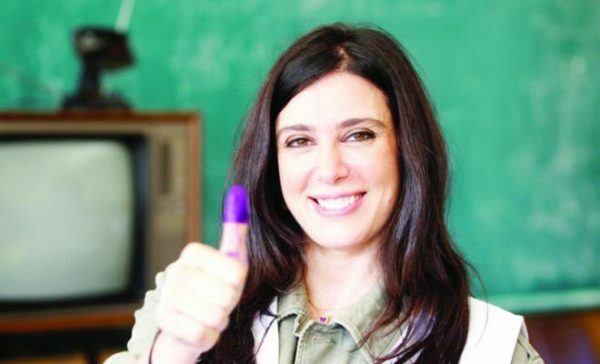 Beirut Madinati includes teachers, fishermen and artists such as famed actress and film director Nadine Labaki. The campaign was founded in 2015 shortly after a trash crisis in the summer sparked protests demanding a solution to growing piles of waste and an overhaul of paralyzed government institutions. Coming out of a polling station in Beirut, a 43-year-old voter who gave his name only as Elie was enthusiastic. “Even if just one candidate from Beirut Madinati gets in, it’ll be a victory for civil society,” said the employee of a money transfer company, who in 2010 had voted for the Hariri-backed list. Many Beirutis are automatically registered to vote in the birthplace of their ancestors in other areas of the country. In the eastern city of Zahle, three lists competed in the municipal elections race. One list “Zahle the Integrity” is backed by Popular Bloc leader Myriam Skaff, the widow of late Zahle politician Elie Skaff. Another list “Zahle is Worthy” is headed by Moussa Fattoush and a third is headed by former Zahle Mayor Asaad Zogheib and backed by the country’s main Christian parties — the FPM, the LF and Kataeb. Hezbollah’s campaign office announced that : ” The lists backed by Hezbollah and AMAL have won in Bekaa’s Hawsh Sneid, Hawsh al-Nabi, Miqraq, Qarha, Hlabta, al-Labweh and Majdaloun. Baalbek and the neighboring villages reportedly witnessed heavy celebratory gunfire, after polls closed . The final official results are expected to be announced by the Interior Ministry on Monday. Results are not out yet, you cannot say in your title the Byerte list has won, that’s pointless. As for “40-year-old Mariam said she had voted for the Hariri list because “it represents the people of Beirut.” it means she doesn’t know who she voted for actually: the people on their list don’t live in the same reality as the Beirutis and their leader Saad Hariri doesn’t even live in Lebanon…. The Beirut Madinati list was the most representative of Beirutis because they are people just like you & me who experience the challenges of life in Beirut, who are well educated, experienced, passionate, on the ground and very diverse. They have offered something amazing: hope for a change. And even if they don’t win these elections, they have seriously challenged the power in place and created a counter-party to hold it accountable. Go Beirut Madinati!! Given Hariri’s latest pronouncements (and actions), I’m not even sure it’s a good thing.